I have guest posting privileges on many authority websites like medium, selfgrowth, playbuzz, behance, minds, posteezy, divianart, format, wn, eonline24 and many more. Which sites have very high page authority and domain authority. As a frequent contributor, I can create a relevant story for your business and get it published there 7 high authority sites to your website. I will do for you at only $70. 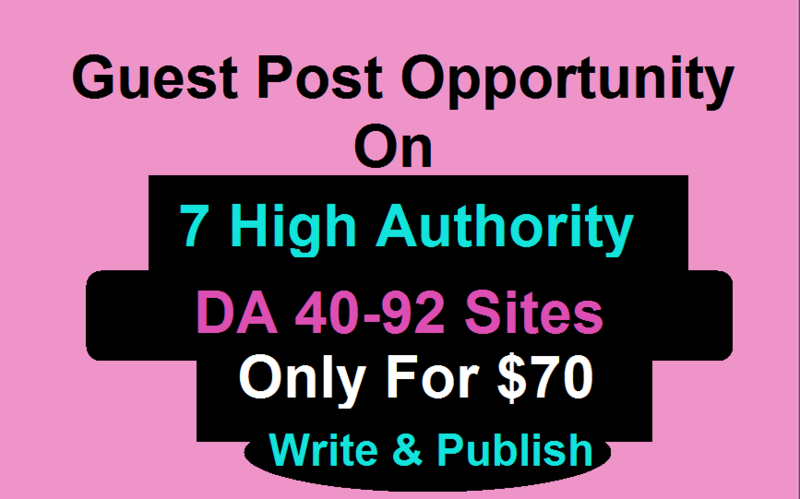 ✓ 7 guest posts on authority website with dofollow and Nofollow backlinks. ✓ Domain authority 40 to 92. So what are you waiting for this is special offer for a very limited time frame in this price. 1. The turnaround time is 5 days.